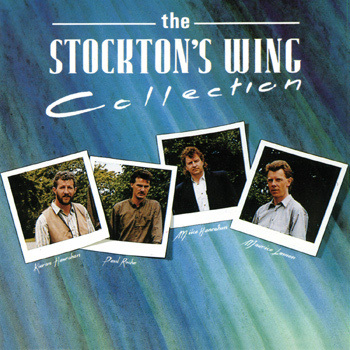 The Stockton's Wing Collection, released in 1991, is a 20 track compilation of the first three Stockton's Wing albums, Stockton's Wing, Take A Chance, and Light In The Western Sky. This album charts the early years from the band's inception in 1977 to their first major success with tracks like 'Walk Away', 'Skidoo' and of course 'Beautiful Affair'. 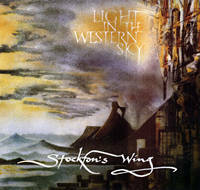 The album features 5 tracks from the first album 'Stockton's Wing' and 4 tracks from their second release 'Take A Chance' as well as 9 tracks from the 'Light In The Western Sky' album (currently unavailable). In addition to this are the single Skidoo and the B-side of the 'Beautiful Affair' single 'Ceile Swing'. A haunting composition 'The Golden Stud' which is a combination of Aboriginal and Irish music, the aboriginal element was introduced by the arrival of Australian bass and Didgeridoo player Steve Cooney. 'Skidoo' which was composed by Steve Cooney for the music for a television programme on an Irish expedition to the Artic circle. 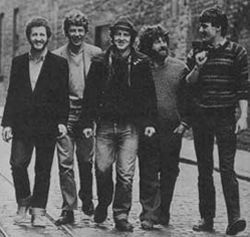 'Take A Chance' was the first original song recorded by the group and it features the then little known Maura O'Connell on backing vocals. 'The Green Gates / The Boy in the Gap' this track which features a great tin Whistle solo by Paul Roche was a big hit with the live audiences throughout the Stockton's Wing career. 'The Maid Behind The Bar' again another favourite with live audiences this track displays their ability and love of Irish traditional music which was the founding stone of the band. And of course 'Beautiful Affair' the song that made the group a household name not only in Ireland but also in the UK and paved the way for the success that was to follow. During the period that these three albums were recorded the Group progressed from playing in small pubs and town halls around the West of Ireland to performing major tours and festivals throughout Europe and the US and in the process becoming one of Ireland's most popular acts of the time. For a more detailed history of the period see the group's biography.